Chiropractic care is a natural way of treating symptoms and conditions related to the musculoskeletal system. It is used not only to treat subluxations and pain, but also as a preventative for spinal and joint health. With regular chiropractic care comes a reduction of pain and an overall improvement in total body wellness. Here at Killian Chiropractic, our office works with patients to rehabilitate injuries, reduce chronic back and neck pain, and also prevent future injuries from occurring. Our goal is to help your body heal itself without the use of invasive procedures. Many of the patients we see and treat experience chronic pain, numbness or tingling in their backs, necks, shoulders and joints. Our chiropractor, Dr. Trevor Kilian, is trained to identify the causes of these types of conditions. For example, patients who suffer from sciatica may experience chronic tingling, pain or numbness in the hips, and lower back due to aggravation of the sciatic nerve. Dr. Kilian can identify the source of sciatica, which is often a herniated disc, and then customize a rehabilitative treatment plan designed to alleviate pain, reduce symptoms and correct the condition. Some of the methods used at our clinic include targeted adjustments, spinal manipulation and personalized back exercises. Personal injury victims may benefit from one or a combination of several of these treatment methods in order to achieve desirable results. Though healing may not occur over night, regular visits to our office can equip the body to make a full recovery. We may also recommend using certain back exercises at home in between treatments to expedite the rehabilitation process and make the body more responsive to in-office treatments. 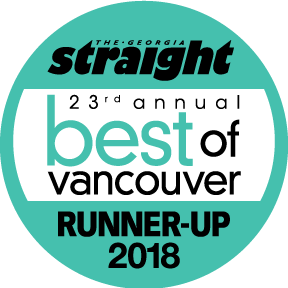 Here at Kilian Chiropractic, our Vancouver chiropractor believes that chiropractic should not only be used as a method to treat pain, but also to promote overall health. Regular chiropractic adjustments can strengthen the spine, ensure the body is in healthy alignment and protect it from vulnerabilities that could cause injury in the future. Patients who visit our office often find benefits besides a healthy spine. Chronic conditions, such as headaches and migraines, can be alleviated with regular treatments. Headaches and migraines are caused by a number of triggers, some of which may include stress, a poorly aligned neck or even muscle tension. Chiropractic adjustments can target those areas of the body, reducing stress and tension and reducing occurrences of headaches and migraines. Whether you have chronic neck and back pain stemming from an injury, or simply want a healthier posture and spine, we are here to help you achieve your wellness goals. If you live in or around the Vancouver area, make an appointment to visit us here at Kilian Chiropractic for a complete consultation. We look forward to meeting you soon!